Over the course of the past few weeks it seems every team within Google has been pushing out updates to their respective apps. Google Maps is no exception. Last week we saw a minor update roll out, version 9.13 for those keeping score at home, and it looks like version 9.14 is just around the digital corner. The updates to Google Maps 9.14 really focus on the navigation user experience when you first look for a location and the inclusion of Popular Times. Popular times provides you a chart of when a business tends to be the most busy. It is something Google has been working on for a while now and it is slowly rolling out across their services. The new Navigation UI is certainly something you will notice and I think likely will appreciate. 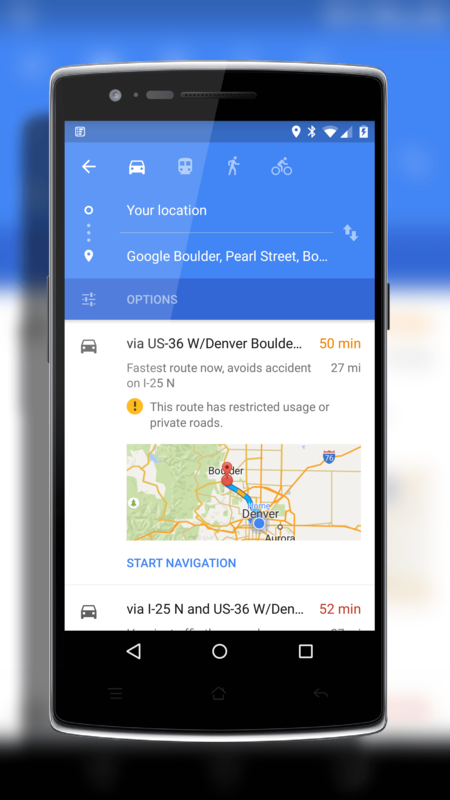 The big change in this update to Google Maps is seen when you are setting up navigation from one location to another. In the current version when you configure this, you see a tiny little map of where you are going. You can of course tap on it to make it full screen but frankly, that’s one extra step and that tiny map is pretty close to useless. you have them enabled) and at the top, it gives you estimated times for other modes of transportation. It is a far more useful design and certainly better looking. Here is a comparison of the old versus the new to give you a better view. 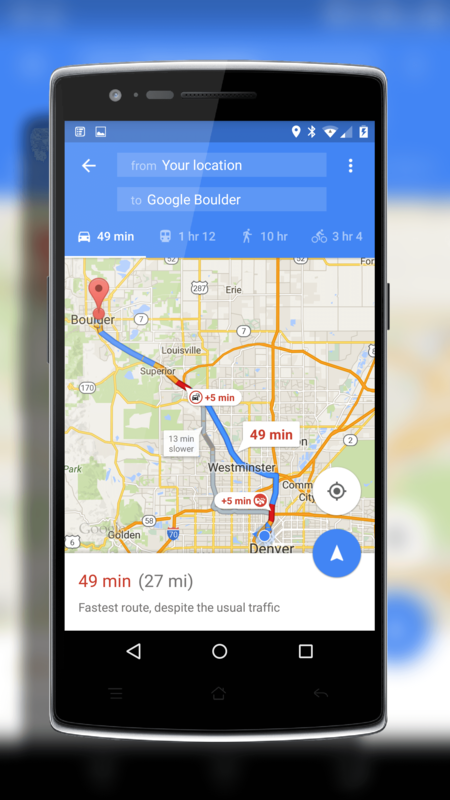 As with many of the updates to Google apps, this update to Google Maps is slowly rolling out. It should hit your device anytime between now and next week. If however you cannot wait, you can download the APK from this link and you can install it (you’ll need to have your device configured to allow you to install from non-Google Play Store locations).